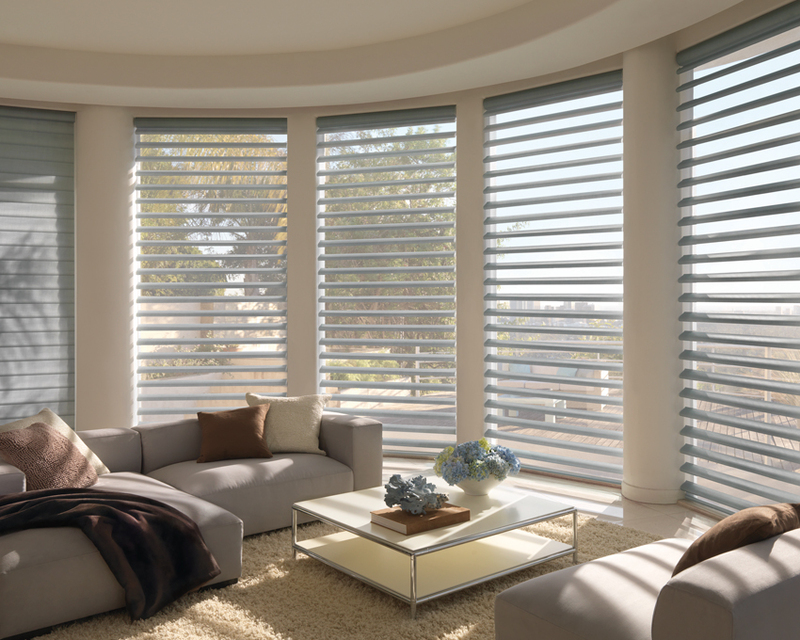 The LUXAFLEX® Pirouette Shadings provide refined features with innovative design. 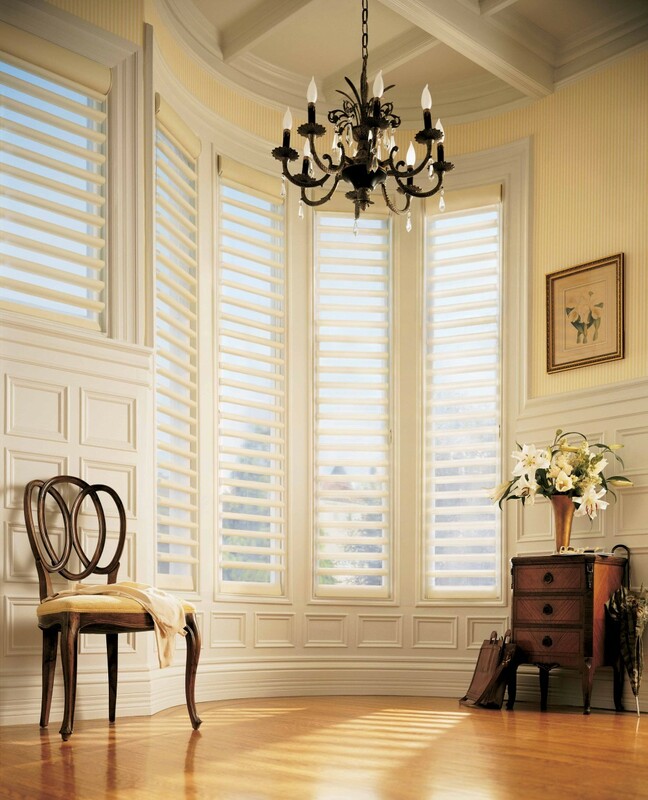 These window coverings offer style and personality with horizontal fabric vanes attached to a single sheer backing, which allows light and privacy to be controlled in an entirely unique, new way. 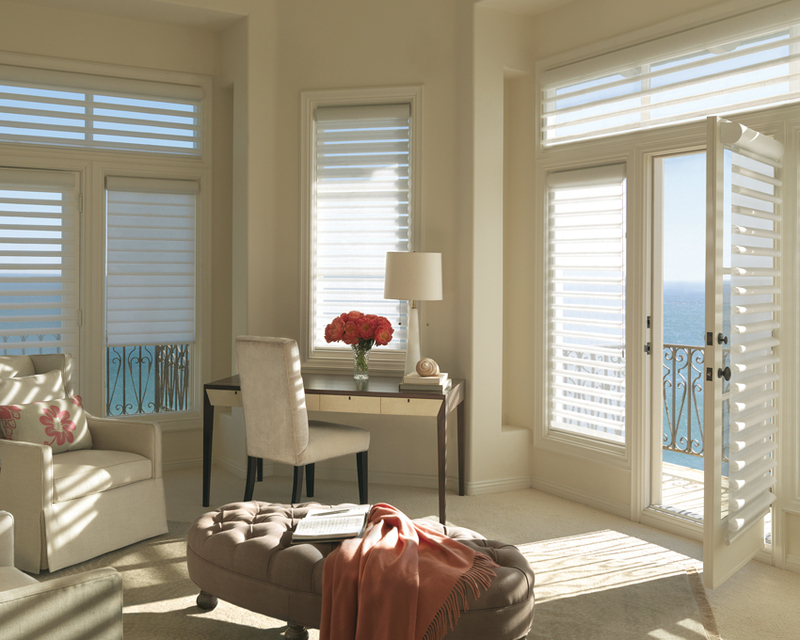 With a gentle pull of the operating cord, you have precise control of the light and view you choose to let in, or block out.